Many of you already know, Wayne our SAMPA representative suffered a major heart attack last week. Thanks to paramedics and surgeons that operated immediately, they managed to save his life. This all happened while looking for a missing spaniel. Due to the sudden feeling of being unwell he left his friends behind to head to hospital – Wayne tried to make it to the hospital alone. Unfortunately he did not make it and collapsed on route. Thanks to the heroic deeds of complete stranger’s, he was kept alive until paramedics arrived. ( Wayne would like to try and find all the individuals concerned to thank them personally in particularly a blonde haired lady and a gentleman wearing a grey tracksuit. ) this all happened last Sunday 25th 11 2018 on Hawley road, Dartford at 3pm. 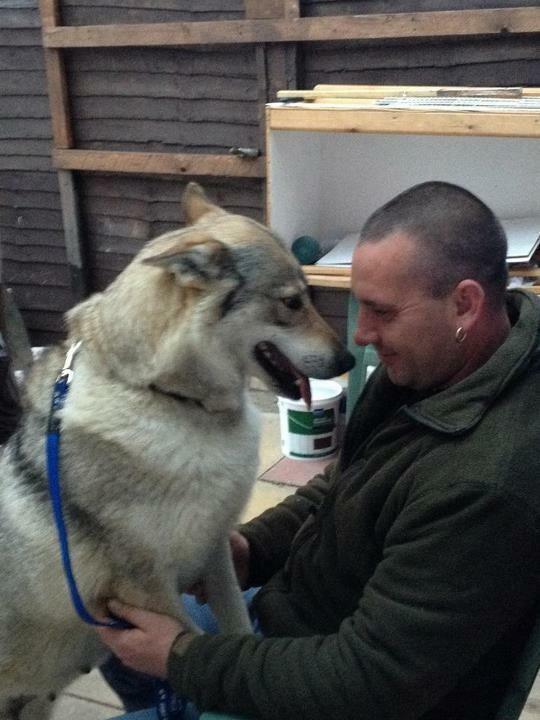 We all know Wayne has dedicated his life to animals and runs his own HMRC REGISTERED animal rescue. Supporting not only us at Doglost but police forces and agencies across the UK. We all wish him a speedy recovery and hope to see him return soon. We hope people will show appreciation by helping him with much needed funds to feed animals in his care. Donation made towards food costs for the animals….get well soon and please take it easy and dont worry about where the food is coming from. Also we are extremely lucky to have Wayne still with us as he” died” 3 times on the way to hospital…thank goodness for the passer by that did immediate CPR and the ambulance crews for reviving him. Top bloke that Wayne ,Speedy recovery bud ! Can’t find company on hmrc website ??? Thank you for your concern Dave…I can confirm that DogLost is in receipt of the original HMRCC charity status paperwork.